The Mid-Season Sale at Desigual has been extended till November 8th! Buy one item and get one 50% off! Start promoting this great sale today. 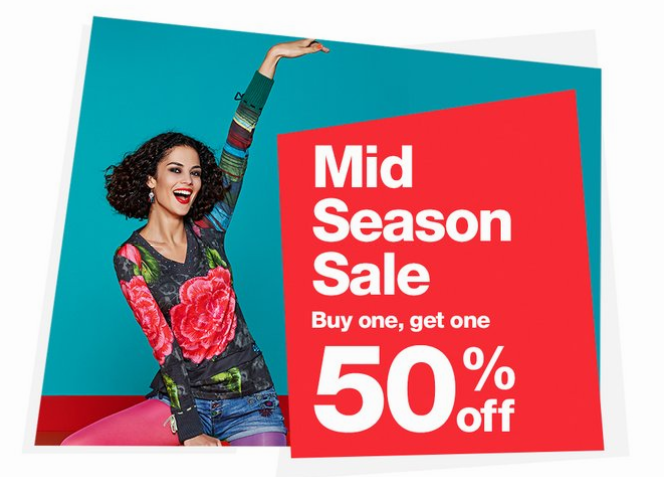 Promotion: Buy one, get one 50% off at our Mid-Season Sale! Think you'd be a great fit for the Desigual Affiliate Program? Sign up here today!